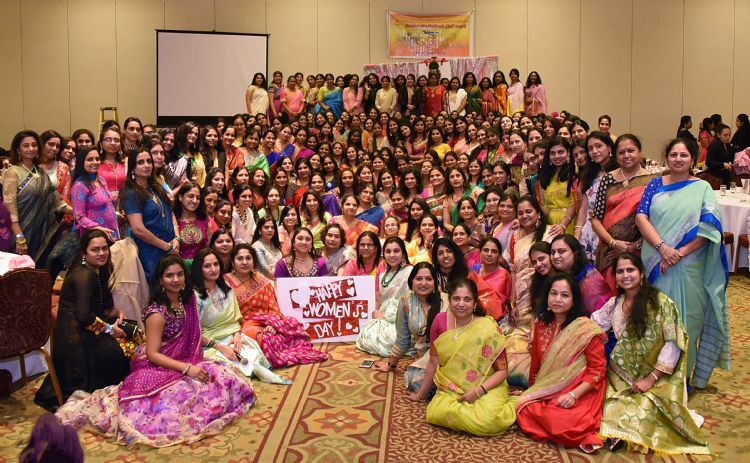 Rolling Meadows, IL March 10th, 2019: Telugu Association of Greater Chicago organized International Women's day on March 10th, 2019 at The Meadows Club, Rolling Meadows, IL. TAGC President Ramu Billakanti lead the event and it is co-sponsored by American Telangana Association. Event started with lighting lamp by Telugu Association of Greater Chicago and American Telangana representatives. The event was organized and executed by Manasa Lattupalli, Vinitha Podduturi, Sirish Madduri and Vijaya Chitta. Several TAGC Board of Directors played a key role in making the event a grand success including Jyothi Chintalapani, Venkat Gunuganti, Vijay Beeram, Vani Yetrintala, Ranga Reddy Lenkala, Praveen Vemulapalli, Santosh Konduri, Sampath Sangem, Parameshwar Yerasani, Rohit Akula, Uma Avadutha and Swetha Janamanchi. During the event, the association raised funds for charitable organizations 'Akshaya Vidya' (which supports in educating kids living in slum areas) and 'Joy Foundation' - Dr. Raj Kumar is the founder of the organization that provides Health care for people with limited resources. Once again, TAGC thanked all the attendees who contributed towards this noble cause. Promila Kumar (Founder, Executive. Director of Sanjeevani for u) spoke about, how to identify signs of abuse and what to do about it. She provided education to all women on resources available through her organization. Lt. Dawn McDermott (sub division-training and emergency services) and Sgt. Karen McCartney (sub division - community relations, public information officer) educated the women on tips of self-defense, how to be vigilant of our surroundings, make spilt second smart decisions to protect ourselves. Gayatri Rathod a licensed medical esthetician & professional makeup, presented an informative session on secrets for a healthy skin and how to incorporate these small changes into our daily routine.